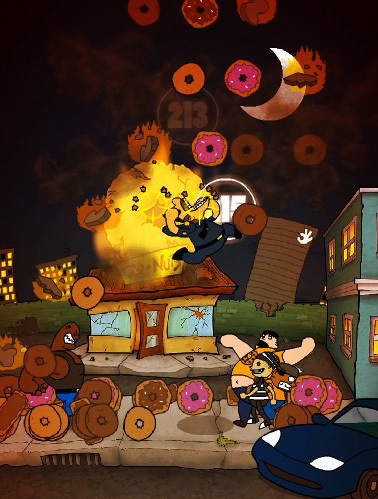 My magnum opus about a cop eating donuts raining from the sky. For this independently developed title, I led a small team to create an experimental game with different types of gameplay and designed to tell an interactive story. Mobile version developed with Unity in C#. Available on Android, iPhone, iPad and OUYA. Full version created in Flash with Actionscript 3.0. Contains 3 separate game segments, each with its own engine. I created the majority of the artwork for the game, including all backgrounds and cinematics. 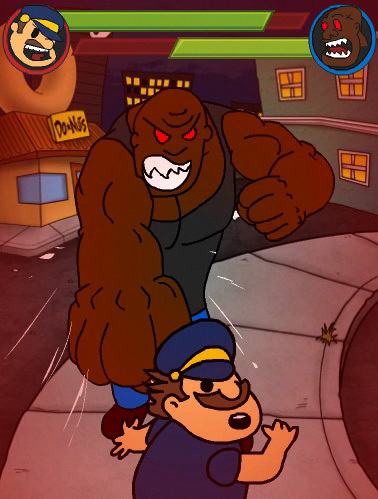 The ending's outcome is determined by the players' actions in the game. Localized in English, Spanish, Chinese, and Russian. Over 10,000,000 Donuts Getted! since release! Over 500,000 plays! Character Design by Ricky Enriquez. 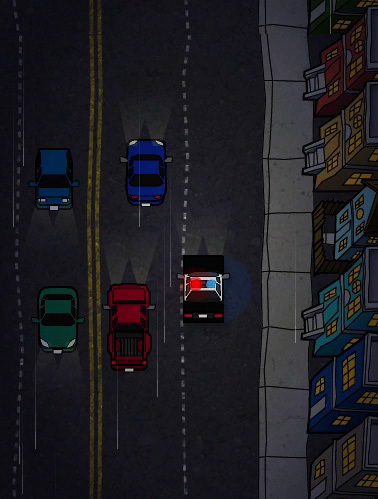 Featuring animation by David Rodriguez. Music & Sound Design by Cryptic Circuitry.